As the Beast from the East kept most indoors, Cillian Reardon fought a behemoth on his pro boxing debut. THERE WERE EYEBROWS raised at ringside during the intros for Cillian Reardon’s professional boxing debut in the National Stadium on Saturday. As the Leinster strength and conditioning coach waited patiently in a packed dressing room on the other side of the car park, he received his final words of encouragement from coach Steven O’Rourke as well as gym-mates Victor Rabei and eventual Last Man Standing champion Roy Sheahan. Back inside the dripping Stadium doors, MC Terry Kavanagh’s words were far less heartening. Indeed, at first, it seemed as though he had been handed the wrong prompt card. And sure enough, in strolled ‘Big Brother’ Orsos – all 190-something pounds of him, and a familiar face to Irish boxing aficionados having fought two of its more popular protagonists: as recently as December, he squared off with another of Reardon’s Inchicore gym-mates, Stevie Collins Jr [12-1-1], at Belfast’s Devenish Complex. He had taken Collins the six-round distance before Christmas, and he was a bloody southpaw to boot. Here’s the thing, though: where Stevie Collins campaigns at light-heavyweight (175lbs), as does five-time Irish amateur champion Steven Ward [6-0 as a pro] who stopped Orsos inside four last June, Reardon is a full two divisions leaner, and had weighed in almost bang on the middleweight limit of 160 a day prior. As he made that long-awaited walk to the professional ring – Reardon’s original debut bout was cancelled in November due to licencing issues on his opponent’s side – the Leinster coach was unaware that he would be conceding anything between 25 and 35 pounds to the rotund Hungarian journeyman, a discrepancy which frankly teeters on the precipice of freak-show territory. A stellar display of pugilistic fundamentals proved Reardon to be no circus act, however, pleasantly surprising prospective sceptics and boxing snobs alike. The Dubliner even swallowed a barrage of belated swipes after the final bell for good measure as big Orsos got a bit carried away with himself, but for the four preceding rounds could scarcely have seemed more at home. “It was an honest mistake on his part,” Reardon laughs back in his dressing room, his gloves in the process of being cut off following a composed 40-36 shutout win. “He was genuinely sorry – you could see it from his face straight away. I didn’t know he was a cruiserweight! There was a lot of back-and-forths with opponents, and with the weather – flights being delayed, that kind of thing – I didn’t actually know until I got into the ring who I was going to see on the other side. I didn’t even have a name – I had nothing. “But I was just delighted that Assassin and Red Corner made sure I had an opponent after the disappointment of November. That was on the cards again until about 2 o’clock today [Saturday], so I was just happy that I was able to get in and get a fight under my belt. I didn’t know how it was going to feel when I got in, because I haven’t actually been in any ring in 18 months, and I’ve never boxed in front of a crowd – I know it’s not a packed house, but there’s that expectation – so I thought I might be nervous, but I settled in quite quickly. “We got on top with Steve [O'Rourke]‘s strategy pretty fast, and then the rest seemed to be natural enough. It worked brilliantly. As had been expected given their interaction with Reardon’s debut announcement on Twitter, a host of Leinster and Ireland stars arrived in the Stadium early to roar on the man who puts them through their paces in their own gym: Cian Healy, Jack McGrath and Josh van der Flier were among the respectable crowd which watched him make his bow in boxing’s paid ranks. On the tunnel side of the world’s oldest purpose-built boxing venue, friends and family were vociferous in their support of ‘Killer’, whose nickname might well become a ring moniker if his cultured right hand is afforded the chance to land on smaller bodyframes in due course. “I don’t know exactly who made it out, but Leinster’s fixture was cancelled this week – it’s an off-week for Six Nations too – so maybe this is a silver lining on a bad situation for Leinster,” says Reardon. “But it was really good of the lads to use that time to come out and show up for me, you know? I don’t know exactly who did, but I know there was a lot of interest. In collecting a Ph.D. from UCD a couple of years ago, Reardon co-authored a GPS study on specific running demands in elite-level rugby with Gloucester’s head of S&C Daniel Tobin and leading Irish physio Eamonn Delahunt – the former an Irish 400m sprinter who spent a decade as Leinster’s head of fitness. But even allowing for his prowess in sports science, Reardon, who previously worked with the Dublin senior and U21 football panels as well as the Irish youth and women’s senior rugby setups, seems surprisingly unperturbed by the physical toll of his first professional prizefight, instead evincing the sense that he had ample miles left in the tank as the final bell sounded – a rarity even for most Olympic-standard amateurs when they first dip their toes in the pros. He explains that for him there was almost no transition: for over half a decade, he had prepared for long rounds as well as the more staggered pacing required when trading leather between the professional ropes. “I wasn’t surprised by it,” he says, “because the way we spar in the club is geared towards that: since I’ve been training with Steve, since 2011, I’ve never done anything other than three-minute rounds. “That’s always been the way we’ve done it, so, no, I didn’t find the fitness side of it difficult. From a strength and conditioning perspective, I have an advantage because I have some expertise in that. But then Steve has the working knowledge of boxing, and how strength and conditioning applies to that. The victorious debutant will return for a sophomore bout as soon as the calendar allows it. His employers, Leinster Rugby, have plans of their own, of course: the eastern province remain the bookies’ favourites to lift a record-equaling fourth European Cup, and currently sit pretty atop their Pro14 conference. And so for now, Reardon’s focus remains on his chief profession, but he speaks of a future in boxing with a pragmatism rare to prizefighters. His ring dreams are far from unobtainable, and he relays them with the self-assurance of a man who has already put in the work to attain others. “I’d like to get back out as soon as possible – whenever I can put a six or eight-week training camp together. But I have to give a lot of consideration to work as well. We’re headed into a big period in our season. “I had a long enough amateur career in terms of time, but I didn’t do much in it. I suppose a lot of people wouldn’t have known that I had an amateur boxing career, but I’ve been training pretty full-on with Steve for the past seven years. The only reason I didn’t turn pro was because I didn’t have the time to put the whole thing together, but it was something I’ve always had my eye on, and I managed to put it together now this year. Let’s see where we can get to with it now, I suppose! Email “Leinster Rugby coach eyeing Irish title after impressive pro boxing debut”. 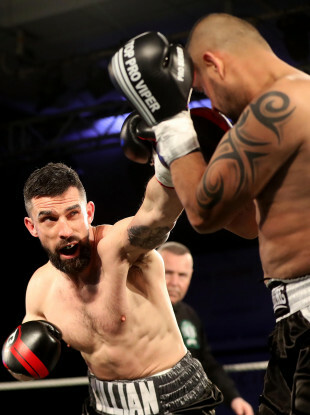 Feedback on “Leinster Rugby coach eyeing Irish title after impressive pro boxing debut”.